The steles can be produced in landscape or portrait format. You can control and maintain the content with our web-based software. Create scheduled campaigns with pictures, information and films that are displayed effectively on high-quality displays at each location. 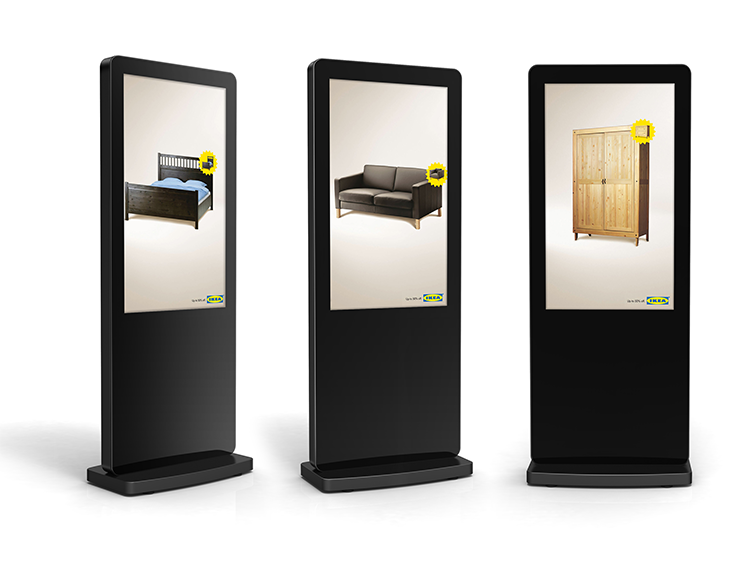 With a digital advertising pillar you get more attention than with traditional print advertising. With informative content you create purchasing incentives and attract new customers. Give your customers the opportunity with our touchscreen information steles to interact and let your customers decide what content they want to see. The application areas of our multimedia presentation steles are almost unlimited. The presentation steles can be used to display new and used offers at the car dealer, in banks for presenting information, in department stores to display special offers, railway stations, airports and waiting areas.